Eyewitnesses and a human rights group are imploring the Canadian government to act fast after they say an Edmonton imam was beaten, arrested and falsely charged while on pilgrimage in Saudi Arabia. Usama Al-Atar was leading a prayer recitation in the holy city of Medina on Sunday morning when members of the country's religious police reportedly asked the small group to move along, said a British member of the group. Mohamed Hayward said the officials then proceeded to harass the pilgrims and zeroed in on Al-Atar. "We were set upon by about 10 to 15 of these religious police and at the end of it all he got jumped and arrested," Hayward said on Sunday in a phone interview from Medina. "They virtually strangled him. We saw him go black and blue." Hayward said the 33-year-old Canadian didn't try to resist the roughing up and remained passive, but authorities still went on to arrest him. "Now he's languishing in a jail," he said, adding that Al-Atar is expected to appear in court Monday morning to face unclear charges. Canada's Department of Foreign Affairs said on Sunday that diplomats in Saudi Arabia are aware of the arrest and are ready to provide consular assistance if needed. Al-Atar, who is also a researcher at the University of Alberta, has an elderly father, a pregnant wife and a three year-old-child in Canada who are all "extremely worried" about what happened, Hayward said. "He's a fully-fledged normal Canadian guy," he said. "We're just minding our own business, we're all from London and America and Canada and Europe, and we're all just trying to get on with our spiritual programs here." The Islamic Human Rights Commission has picked up on Al-Atar's case and issued a statement Sunday calling for his immediate release. 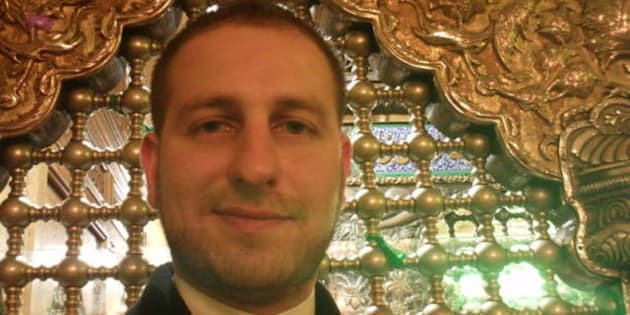 The U.K.-based commission, which says it campaigns for justice for people of all faiths, is trying to secure a lawyer for Al-Atar and said the Canadian imam was "manhandled" by Saudi authorities. "There's confusion among police about what he's there for in reality," said chairman Massoud Shadjareh. "It seems the religious police has just picked on him." Shadjareh said Al-Atar's case is an example of concerns the commission has had for a while in a country where most authorities belong to the Suni Muslim sect and reportedly victimize those who practice other forms of Islam. Al-Atar's group follows the Shia faith. "(Saudi officials) have a one particular, very narrow interpretation of Islam which is very intolerant of everybody else," he said. "This is not an issue about the misbehaviour of one individual, this is an issue about how Saudis are dealing with the whole issue of pilgrims, what is allowed and what is not allowed." Shadjareh added that Saudi Arabia is also on edge about international pilgrims flocking to holy sites this year because of recent uprisings in the Arab World. "They're very nervous because of the Arab Spring...and how pilgrims from those places are going to behave." But a western pilgrim being detained for as long as Al-Atar has is atypical, he said. "The resolution of this depends on the activity of the governments in question, how soon and how fast they can act on it," Shadjareh said. "It is unusual that it has not been resolved."